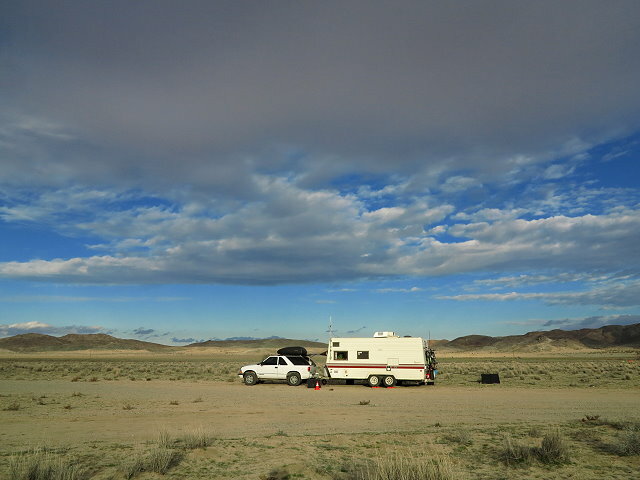 Sunday February 19th – We are grateful for the stay at the Walmart parking lot during the rain, but today we pack up and head back to the BLM area north of Joshua Tree. This time we go in on a better road and find a spot that is higher ground with some gravel. I am still not thrilled with it, but it is better than the first spot. 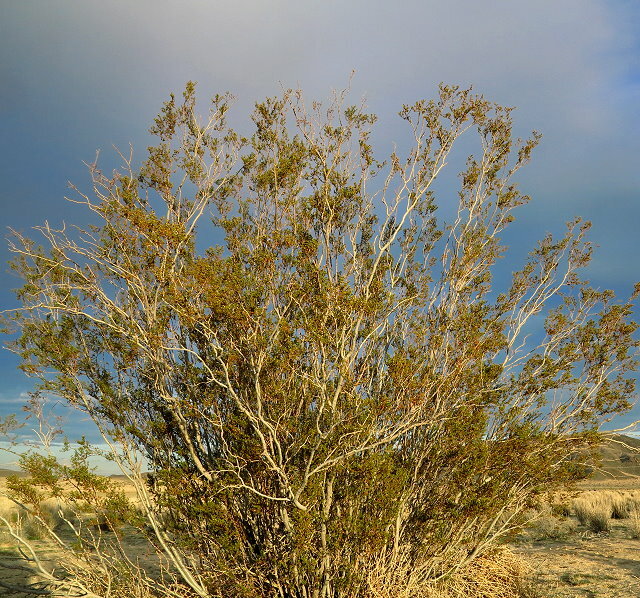 It is not as trashy, so easier to clean up around our spot, and there is a creosote bush – something green and alive. I make a firepit by digging a shallow wide hole in the sand. Becka calls and while we talk, I walk down the road to the nearest houses, trying to figure out which house she and Mike lived in. 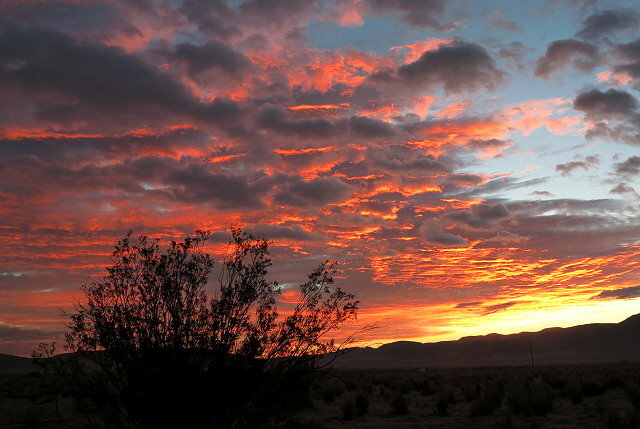 My quiet-time today is a late afternoon walk, picking up trash across the desert and salvaging what I can for a campfire. 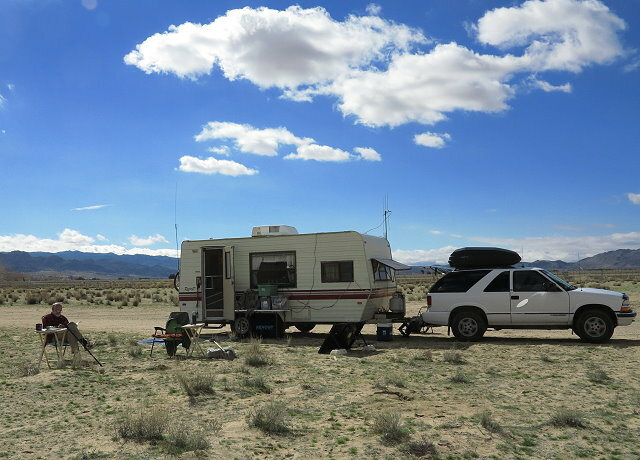 My request to Higher Self: rather than being discontent when a great campsite is not available, be content and joyful no matter where we end up parking. 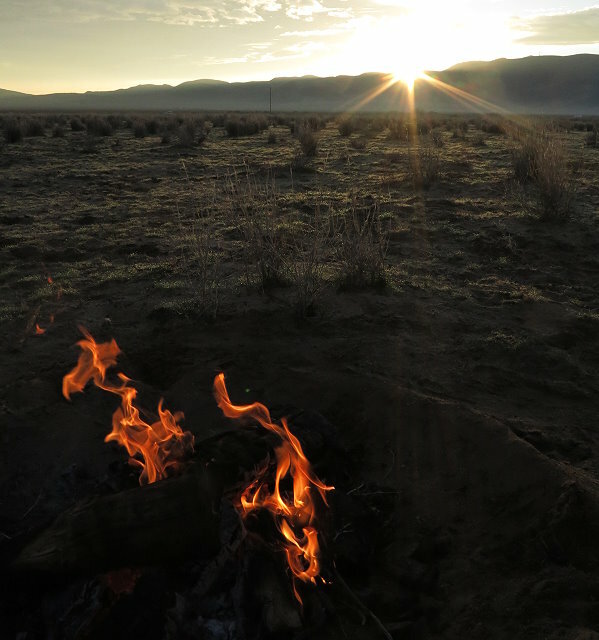 Monday February 20th – Coolish morning, perfect for a campfire in the sand firepit. 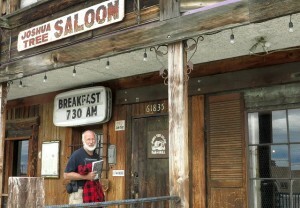 The neighbor, John, comes over, as he is interested in our solar panel. We visit a bit, and he will come back later to talk to Clifford. I make a pot of tea and write in my journal before getting on with the day. 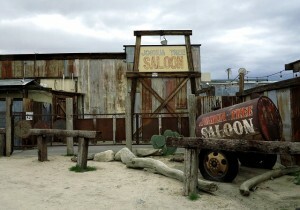 Sunny, so laptop is charged and I am able to do some editing today. Play cello outside for a bit, but the wind comes up, so the session is short-lived. I cannot deal with the stand blowing over and music spilling all over. Later John comes over again to talk to Clifford. They have a good conversation, as he is also a scientist and they have similar veins of knowledge and experience. 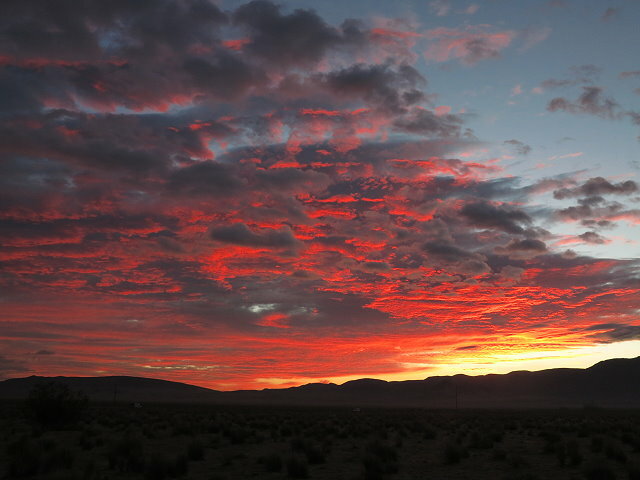 Although this BLM land is not that scenic to me, at least I feel peaceful being here. 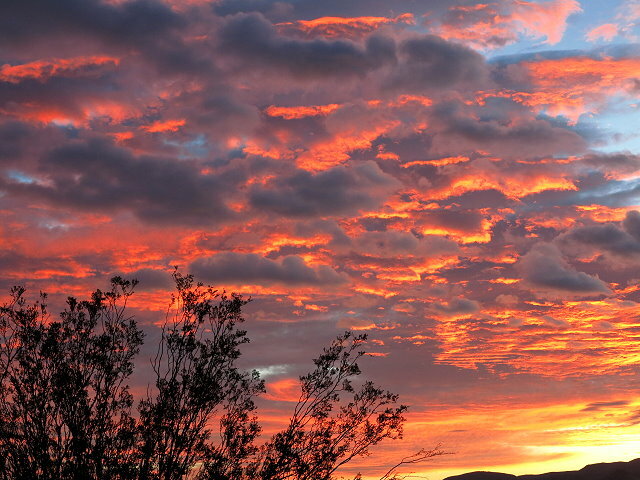 Tuesday February 21st – Beautiful sunrise and I am doing my job per the birthday poem by Mary Oliver: I stand still, being astonished, loving the world, and feeling more connection to this rather barren land. 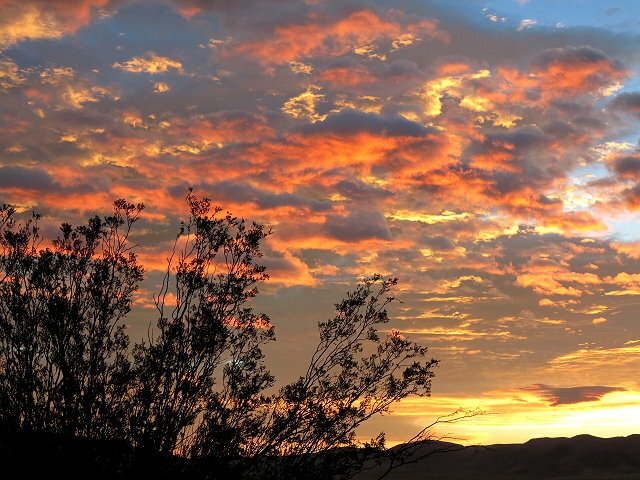 A few minutes later the colors begin to mellow, less red, more orange. To the west, pretty pink lights up the mountain range between here and Los Angles. 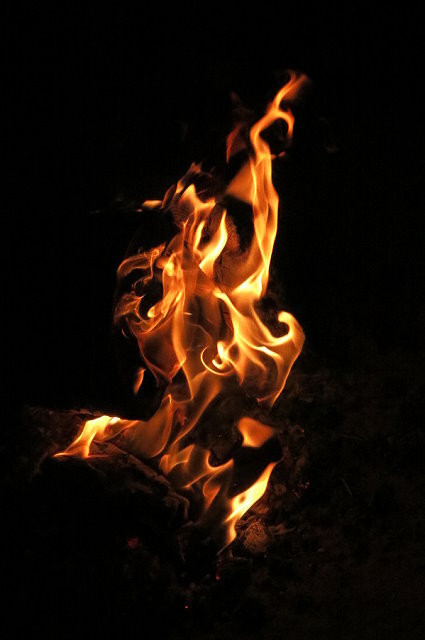 I make a campfire and John comes over to visit and enjoy the campfire with me. Today Clifford and I have to make another trip to Yucca Valley, this time to get propane and water in preparation for our moving on. 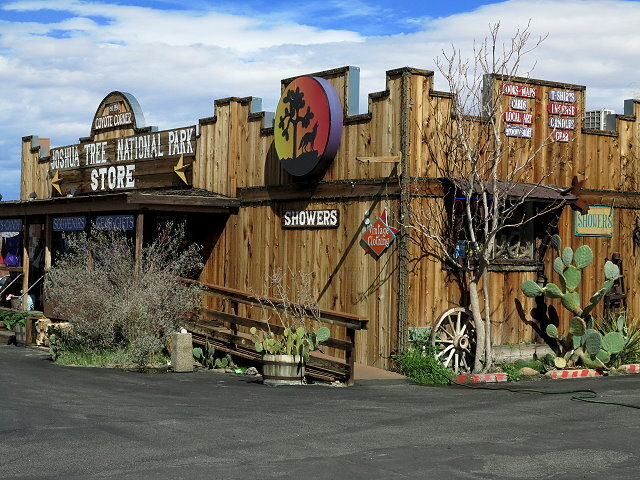 We go the Joshua Tree Saloon for lunch – Becka’s recommendation –and I browse the sweet gift shop next door, buying a few small gifts there. We go to the post office and pick all the mail that has been sent to us: our mail from a Wallace, a Quartzfest T-shirt for Clifford, and a backup battery for my laptop. Back at camp, John comes over with his son to talk to Clifford. I want to play cello, but again it is too windy. 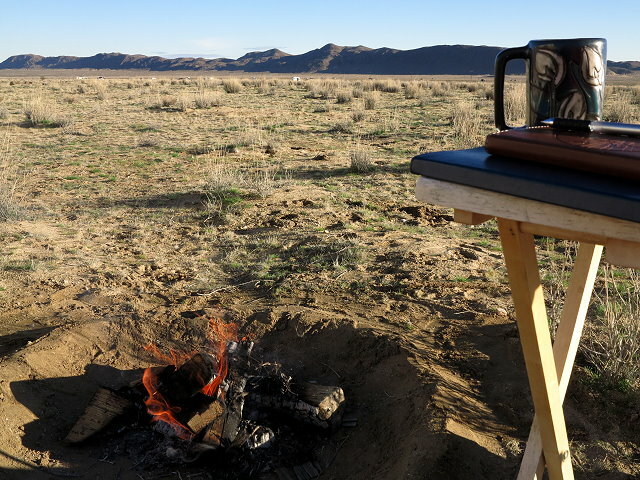 Later, as the sun sets, the wind dies down – too late for cello, but I have a little campfire and sit out to write in the journal before going in to begin sorting six-weeks worth of mail. 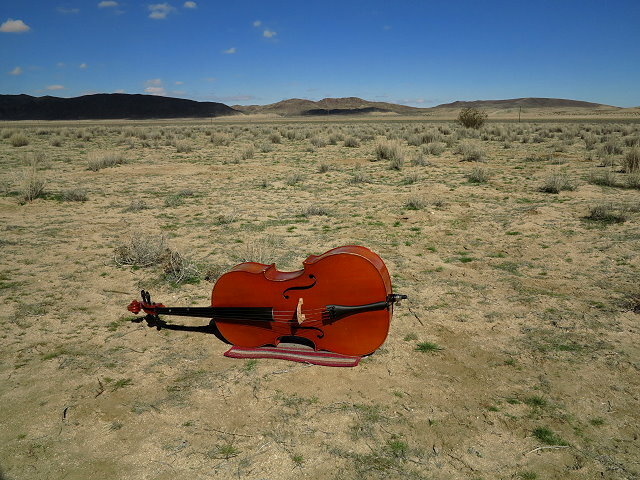 …”Desert Cello” is now (by far) my favorite Cello image! …and, summoning your “Higher Self”: Yes!